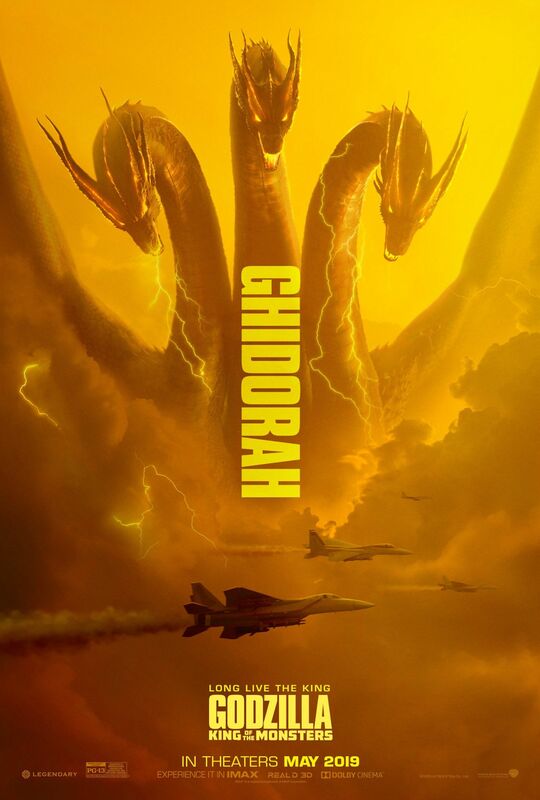 ‘Godzilla: King of the Monsters’: New Posters Unleash Rodan, Mothra and Ghidorah!! Check It Out!! | Welcome to Moviz Ark! ‘Godzilla: King of the Monsters’: New Posters Unleash Rodan, Mothra and Ghidorah!! Check It Out!! The new posters come on the heels of the second trailer for the film, which dropped earlier this week. While the first trailer was focused on the awe and majesty of the creatures (and hints of some nefarious deeds within the bureaucracy of Monarch), the second trailer was all about the monster action, teeing up an all-out monster attack for the ages. 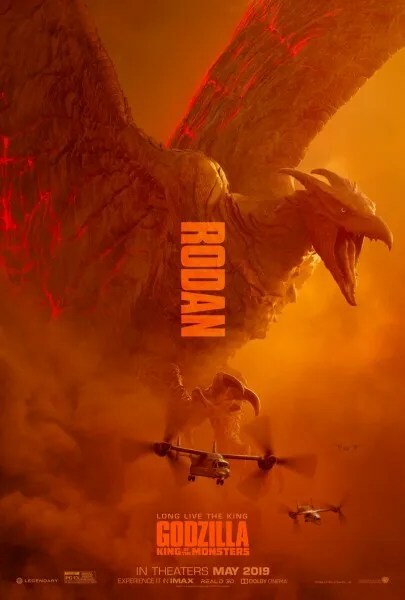 And man, these creature designs are really spectacular — Mothra looks stunning, Ghidorah looks like the gd king he is, and even Rodan looks cool as hell, with his lava-tinged wings and devil horns. 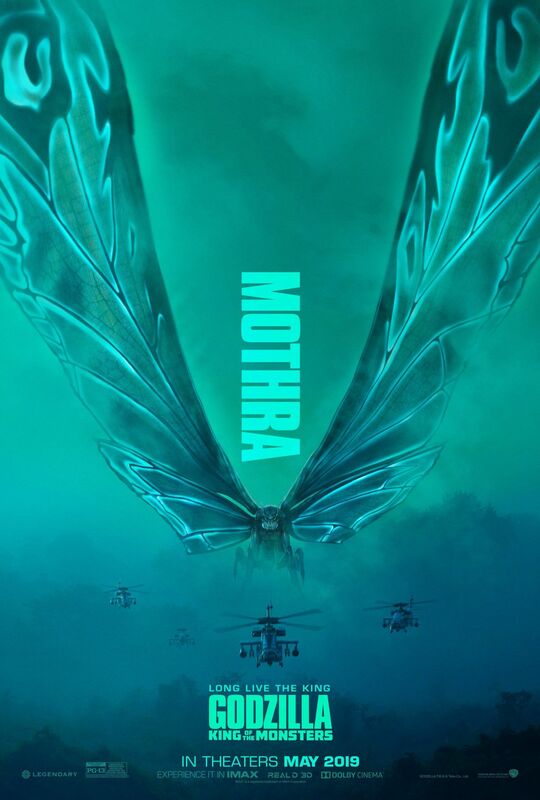 I really just couldn’t be more excited for this movie, and these posters only further amplify my anticipation. Check out the new character/monster posters below. From a script by Dougherty, Max Borenstein, and Zach Shields, Godzilla: King of the Monsters—which also stars Ken Watanabe, O’Shea Jackson Jr., Bradley Whitford, and Thomas Middleditch—is set to hit theaters May 31, 2019. ← ‘Reputation’: First Trailer for Netflix’s Taylor Swift Concert Film!!! Check It Out! !